Since our incorporation in 1975, we have developed into an international group with over 13,000 employees and an annual turnover over € 1,283 billion (2013). We operate from our own international network of more than 109 branch offices in 40 countries. Brunel’s operational excellence is the product of nearly 40 years of successful business conducted throughout the world. This wealth of experience provides our Clients and Consultants with the confidence that their resourcing and employment requirements will be managed with the highest level of professionalism. 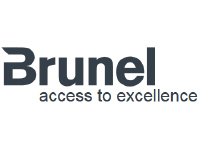 This high level of service is the foundation of Brunel’s excellent reputation which in turn gives us access to the best of both Clients and Consultants.